Beauty and technology. The two worlds aren’t as miles apart as we expected, especially with the advent of beauty devices that promise spa-like experiences — a process that we can now recreate in the comfort of our bathrooms. And while we all know that every good skincare regime starts with cleansing your face, are things really as simple as that? You’ll be surprised! These days, washing your face with your bare hands isn’t enough, not when we know how much better the alternative is. 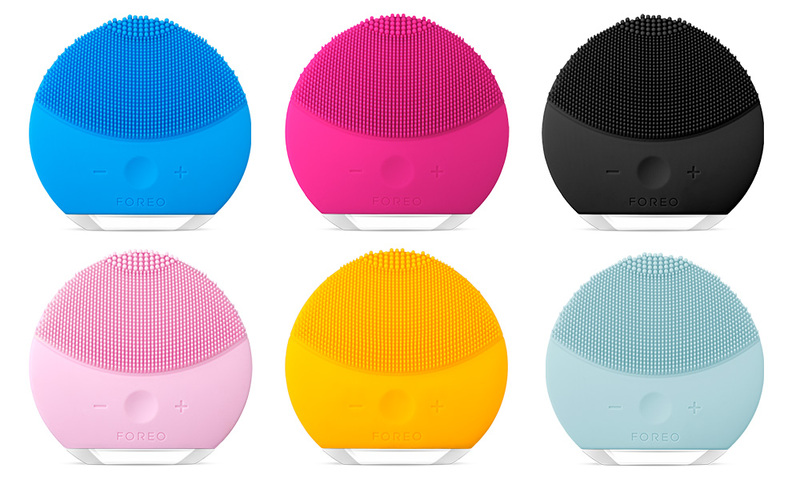 That’s where Swedish brand, FOREO, and their line of cheery silicone facial cleansing devices, come in. 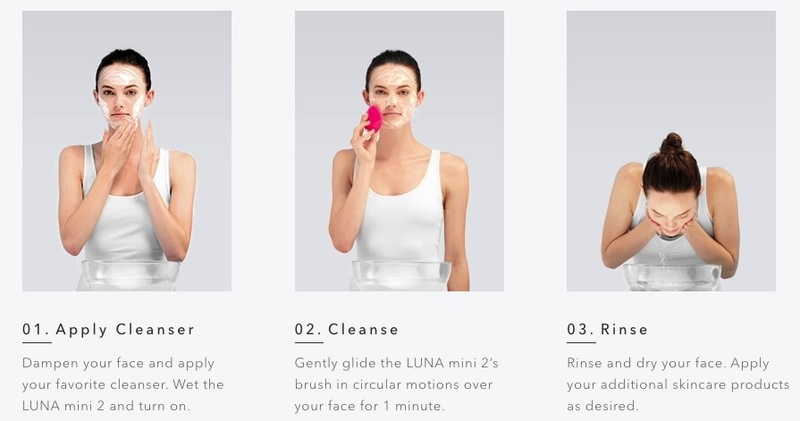 The compact LUNA mini 2, for instance, effectively removes 99.5% of dirt and oil on our faces, along with makeup residue and dead skin cells, all for smoother and cleaner skin. Since the brand’s debut as recent as 2013, they’ve been one of the fastest-growing beauty device brands, and we think we know why. Innovation. You’re getting a high-end gadget that makes cleansing as simple and intuitive as it should be. 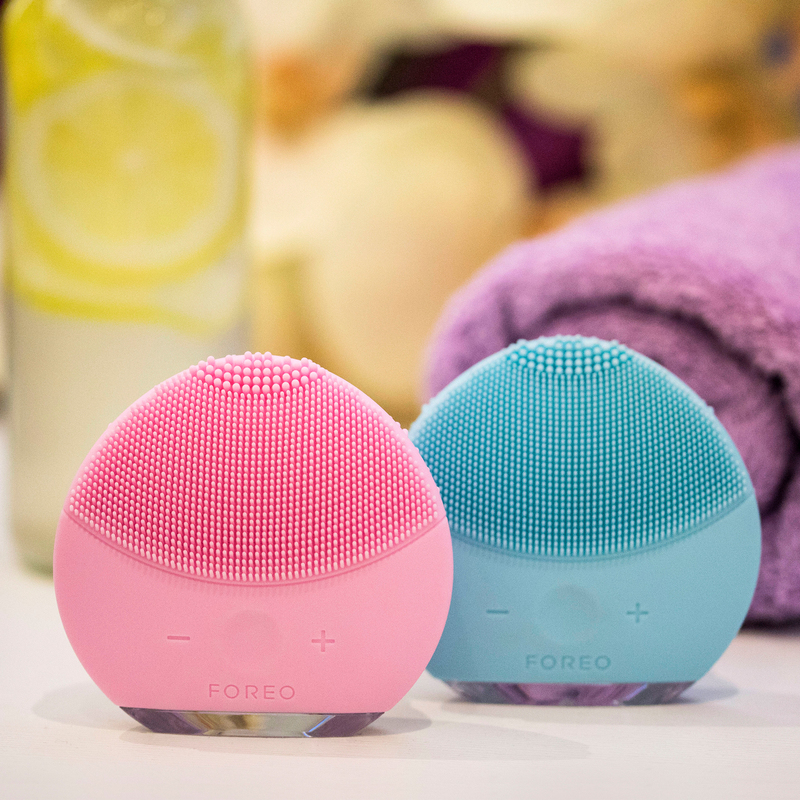 FOREO proved a formidable competitor in a niche beauty category; their silicone devices present an advanced alternative to the then-popular facial brushes, which use nylon-bristled brush heads — these beauty innovations took off immediately, and gained such a massive following that they’ve since toppled leading brands off their market-leading pedestals. 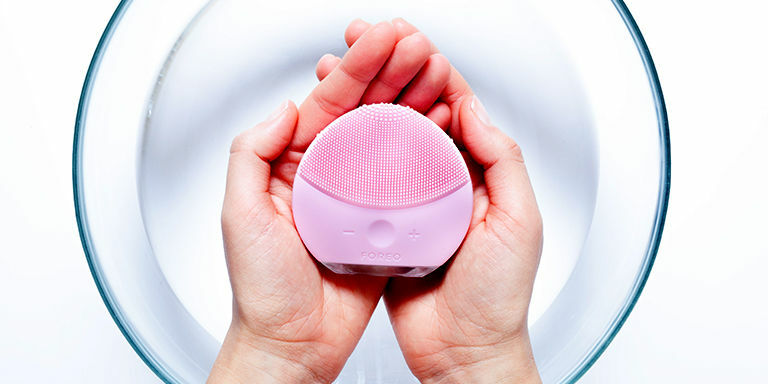 Think about it: when was the last time you saw a Clarisonic on our local shelves? For one, it’s way more hygienic; the material itself resists bacteria buildup, and is 35 times more hygienic than plain old brushes. Then, think about how you won’t need to replace your brush head, ever — that itself saves on cost and convenience, while also leaving a greener impact on the environment. 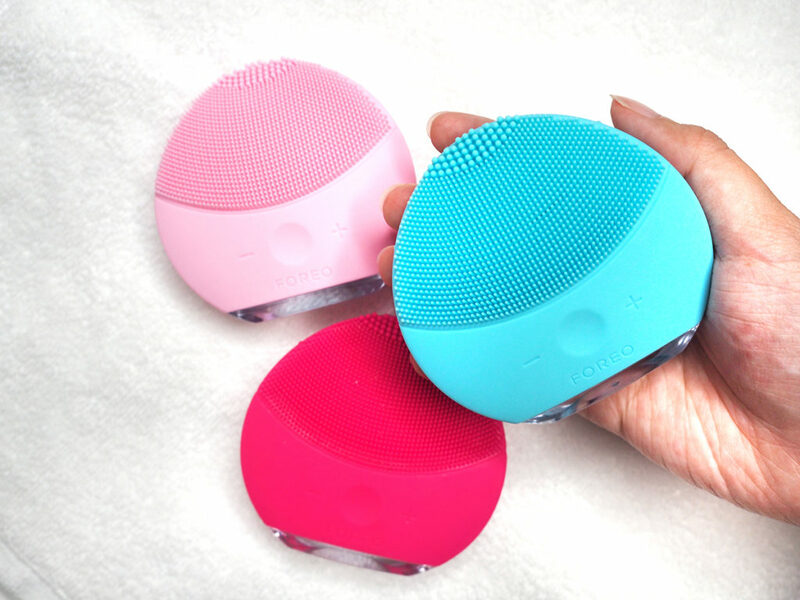 The device is also gentle, suitable for all skin types, and fuss-free enough to fit into any busy lifestyle. It’s that universal. So, the only question left is: do you need one? Well, first, you gotta find out more. Then, read on to hear what the NYLON team thought! Essentially, it’s a facial cleansing device, one that uses gentle micro-pulsations to thoroughly cleanse the skin. The LUNA mini 2 though, prides itself for its hygienic silicone design — the material resists bacteria buildup, especially for something that’s left on your bathroom sink, and is 35 times more hygienic than nylon-bristled facial brushes. The technology here has to do with T-Sonic™ pulsations — 8,000 transdermal sonic pulsations per minute, to be precise — which remove 99.5% of dirt and oil, as well as makeup residue and dead skin cells. In this way, it deeply cleanses and helps exfoliate our skin, plus treats it to a gentle massage too. There are also 3 cleansing zones on the device — the thinner touch-points cover most of the surface, and are used for normal and sensitive skin; the thicker ones at the tip help with precision cleansing in tough spots, while the broader touch-points at the back aid with more oily skin. 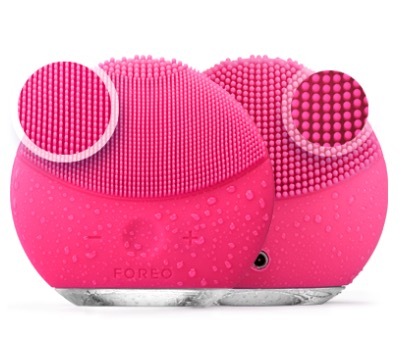 As an improved version of its predecessor, the face brush and massager is now 50% larger and made with softer silicone. You can choose from 8 intensities to customise your cleansing experience. With your skin more effectively cleansed, you’ll notice that there are fewer impurities and clogged pores that usually result in blemishes — yes, this means no pesky zits. Cleared pores also means that the later part of your skincare regime, toners and serums and moisturisers, get absorbed more easily. Use it for a minute, twice a day, and you’ll see smoother, softer, and healthier skin that looks more vibrant. The mission, should we choose to accept it, was to use the LUNA mini 2 for about 2 weeks, and give our honest feedback after. Here’s what 6 members of the NYLON team thought! “With the rise of aesthetic dermatology, I am constantly on the hunt for the perfect cleansing routine. 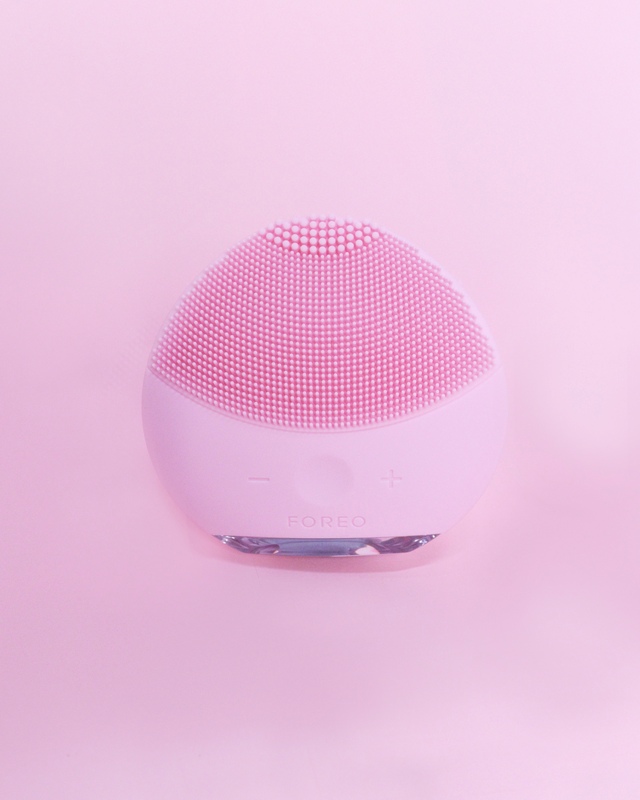 Previously, I got myself the Clarisonic Brush to bump up my skincare regime in hope that it would clear my skin from all the dirt, oil and grime that I was exposed to. I felt that it was a little harsh on my skin, as it was literally scrubbing my entire face. It sort of did its job but after a few weeks, my skin started breaking out and I wasn’t sure if it was the brush or the intensity I switched it on to, and so I stopped using it. “I used it almost every day, and missed out on two days because I forgot to bring the device into the shower with me. Yes, it’s 100% waterproof in case you’re wondering! The silicone brush provides deep cleansing and is gentle on my skin, fulfilling its purpose and proving to be a great device.